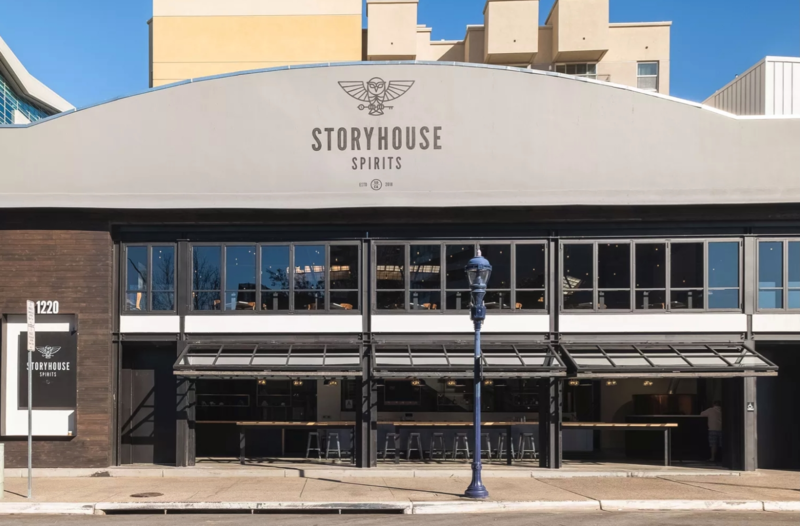 The contingent of craft distilleries in the East Village adds a new compatriot today with the official debut of Storyhouse Spirits. 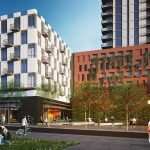 Installed in a longstanding building at the corner of Park Boulevard and J Street, the 7,600-square-foot site has been reconfigured into a two-level showcase for its house spirits and food. Co-founders Steve Kuftinec and Matt “Woody” Kidd have come together from divergent backgrounds but share a love of cocktail culture; Kuftinec is Storyhouse’s director of business development and spent over a decade as VP of sales for Utah microbrewery Uinta Brewing, while head distiller Kidd is an avid surfer who was a pilot in the United States Marine Corp. before learning the craft of distilling. In his 3,700-square-foot distillery, Kidd has bottled an initial lineup that includes Seaside Vodka, Meyer Lemon & Cucumber Vodka, California Dry Gin, and California Coastal Gin. Later releases will include Bourbon and American Single Malt Whiskey. 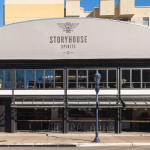 The spirits will be featured in house cocktails that include the Storyhouse Aviation made with Storyhouse Dry Gin, Creme de Violette, limoncello, and cherry liqueur.